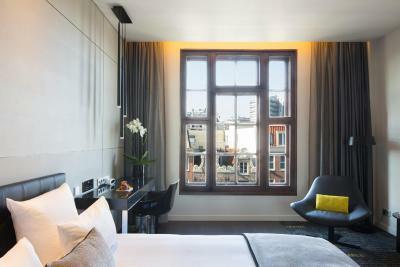 Lock in a great price for art'otel amsterdam, part of Radisson Hotel Group – rated 8.9 by recent guests! The breakfast was fantastic. We had eggs benedict which was made personally. The whole breakfast buffet had a large variety of food from fruits, cereals, meat, cheese and breads. 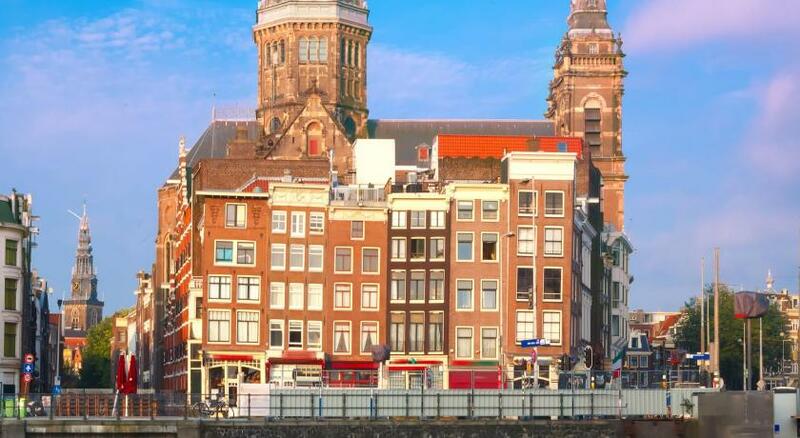 This hotel is just amazing, great location, near by many great restaurants and the central station is just opposite the hotel, as well as the departure pint of almost all the river cruises. The mall is close by as well as some small museums. Staff was just great and extremely helpful. The restaurant downstairs is so classy with amazing athmosphere, also the bar connected to the restaurant has a nice sitting area and live DJ. 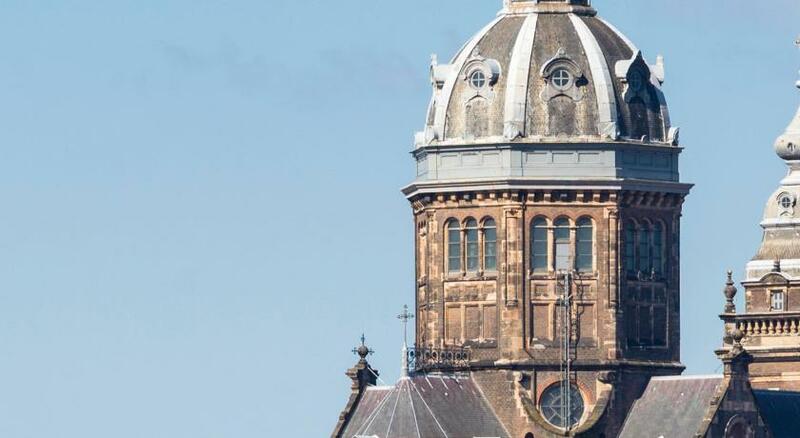 Very good location, close to Amsterdam Centraal and Dam Square. Cool room design and friendly staff. Breakfast was Ho Hum and the wait staff seemed to be a bit disorganized. Not any place I would like to linger. 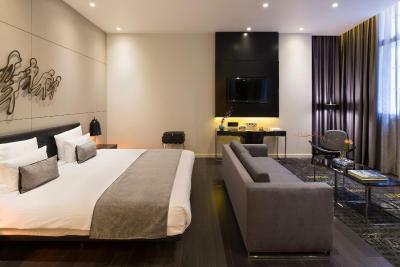 The hotel is modern and room is very nice and clean. 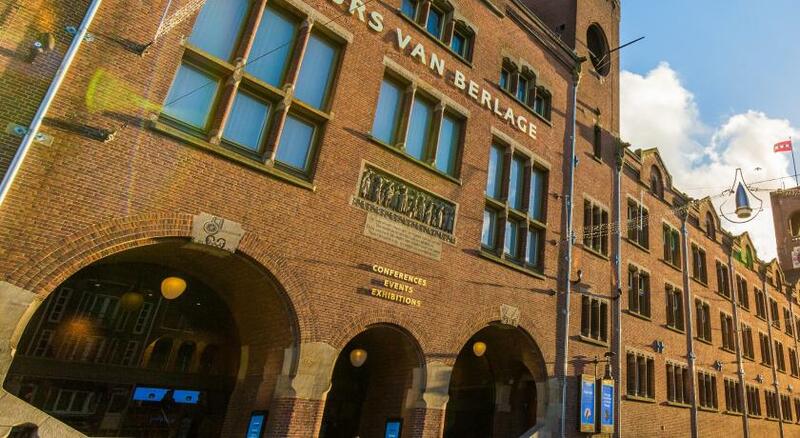 The location is only 2min from central station. 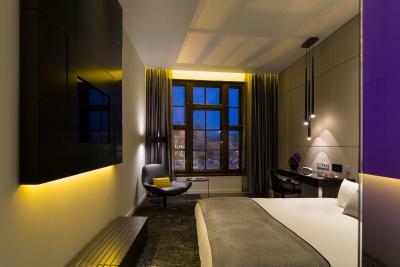 This is one of great choices to stay here. The beds were comfortable and the stuff were very kind people. They gave us a better room when requested. My wife and I were very happy about that. The breakfast included was excellent. Full buffet plus other cooked items. The free wine in the lobby was a nice touch. Loved the lounge area with the fireplace. Gym was well equipped and the pool looked very inviting. Rooms were spacious and comfortable. Location was perfect right by the central station. 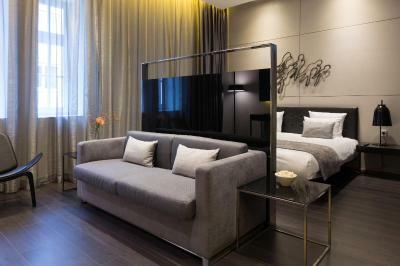 art'otel amsterdam, part of Radisson Hotel Group This rating is a reflection of how the property compares to the industry standard when it comes to price, facilities and services available. It's based on a self-evaluation by the property. Use this rating to help choose your stay! 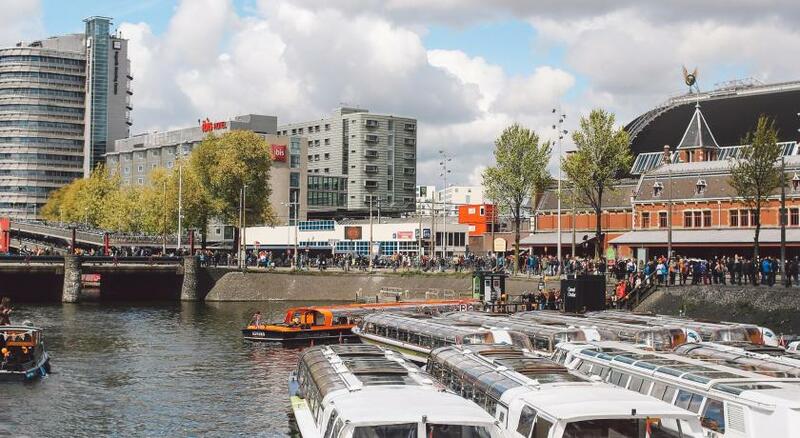 One of our top picks in Amsterdam.Located in the heart of Amsterdam opposite central station and within walking distance of Amsterdam's main attractions and shopping areas, art'otel amsterdam features 5&33, which is a dining and social venue combining an all-day and late-night kitchen, bar, library, lounge and multi-functional public gallery. 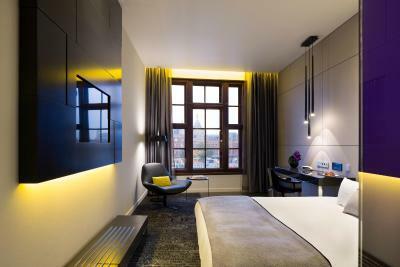 Guests of art'otel amsterdam have exclusive on-site access. 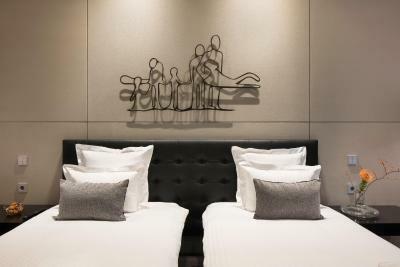 The hotel's modern rooms all feature art work by Atelier Van Lieshout and free Wi-Fi is available throughout the hotel. 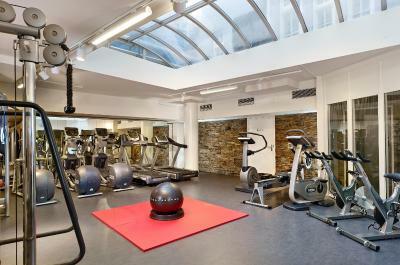 Guests can enjoy complimentary use of the indoor swimming pool and fitness center. 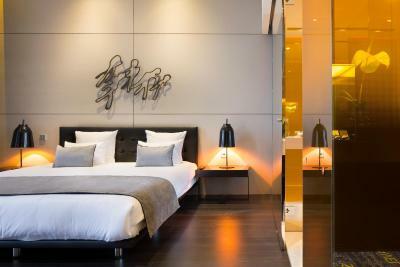 Each room comes with mood lighting and flat-screen TV. 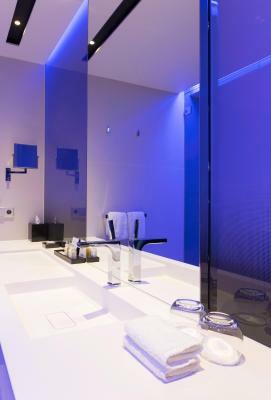 The bathroom features a rain shower, separate toilet, and Elemis guest amenities. 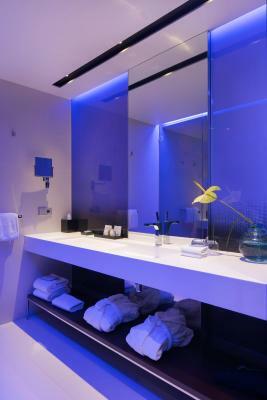 Hairdryer, luxurious bathrobes and slippers are provided. 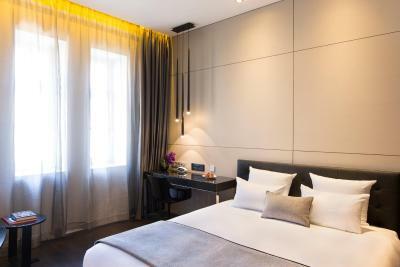 There is a stocked mini-bar, complimentary bottle of water on day of arrival and an illy espresso machine. 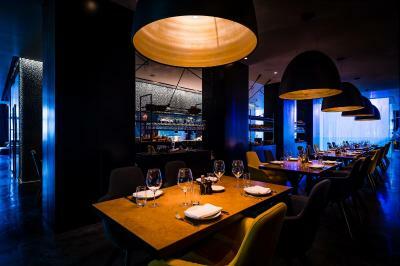 The innovative dining concept 5&33 serves an all-day and late-night menu of small plates, inspired by the wider Mediterranean.On the weekly Truffle Tuesday a special truffle menu is offered. 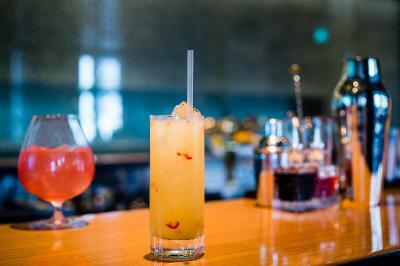 5&33's bar serves a wide choice of cocktails and drinks with guest DJs spinning tracks on various nights during the week. Guests can enjoy a selection of delicious bites free of charge with the first round of drinks during the daily Aperitivo from 17:00 to 20:00 hrs. 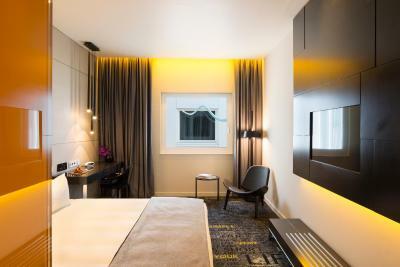 When would you like to stay at art'otel amsterdam, part of Radisson Hotel Group? 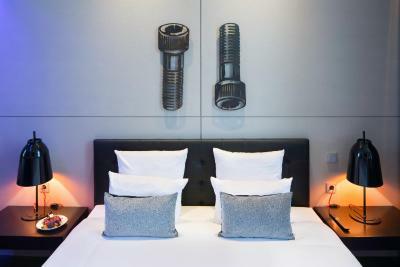 Suitable for up to 2 guests, this double room features a piece of original art by Atelier Van Lieshout, free WiFi, a flat-screen TV, international power sockets, work desk and chair. 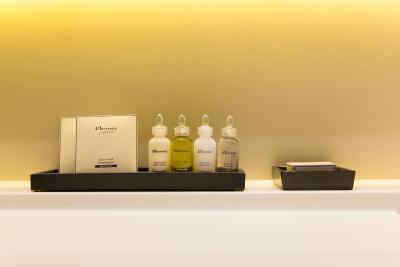 Elemis guest amenities are included as well as an illy Espresso Machine. 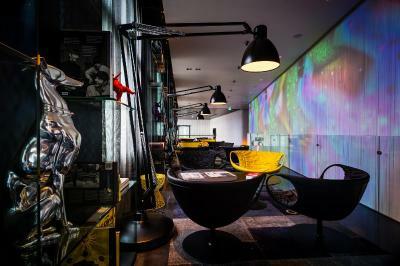 House Rules art'otel amsterdam, part of Radisson Hotel Group takes special requests – add in the next step! 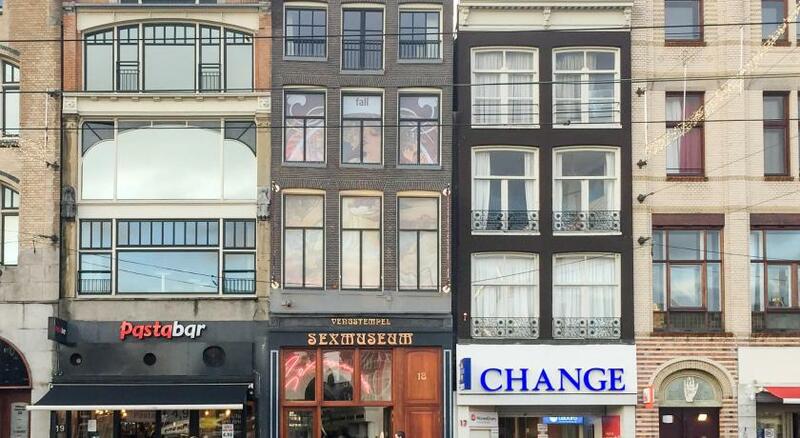 art&#39;otel amsterdam, part of Radisson Hotel Group accepts these cards and reserves the right to temporarily hold an amount prior to arrival. 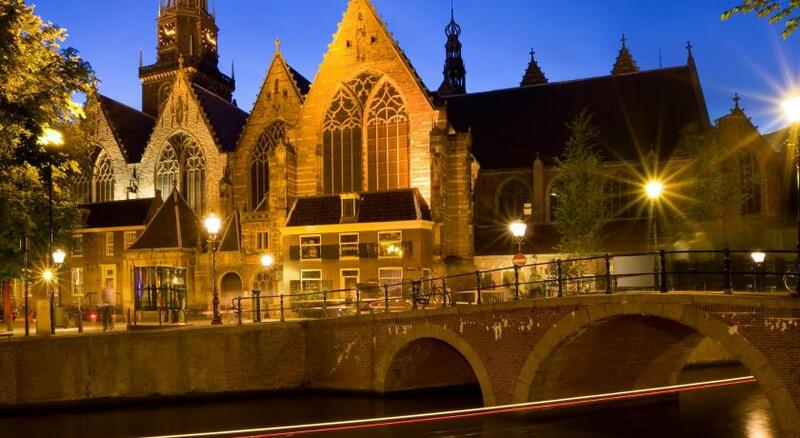 art'otel amsterdam, part of Radisson Hotel Group accepts these cards and reserves the right to temporarily hold an amount prior to arrival. The evening waiter staff did forget part of our dinner order so it came late after dinner, so maybe a bit more attention is needed on that point. Room with effectively no window, bed poorly done, floor dirty and furniture was dusty. Unacceptable for the star rating and price. Very disappointing. In the locker room in the pool area smelled like raw sewage. There was no shampoo in the shower. The sauna was extremely hot, your feet could be burned. The room has a nice modern bathroom, but when you shower, water leaks on the floor outside the shower cabin. The hotel is nicely decorated, breakfast is very good, dinner in the restaurant is also good. The stuff is friendly. The room is big and bed is comfortable. The linens are also very good. 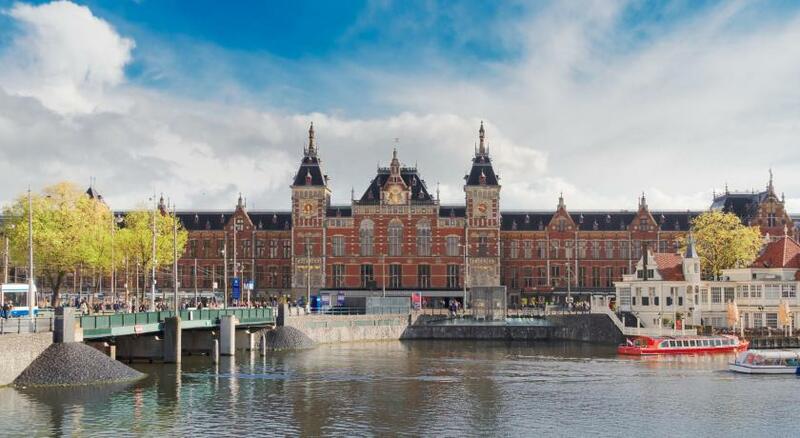 The location across Amsterdam Centraal is excellent. You ride 8 stops by tram to reach the museum quarters. I recommend this hotel to travelers. Exterior of the building is under renovation. Maybe the only slight gripe would be the noise of the trams. Everything with the hotel was excellent. Couldn’t fault anything. Great location and easy to get to the places we wanted to visit. The morning breakfast had too little options. It could have been better. Good Property with great staff!! The coffee machine in the room apparently took coffee packets that they charged you for. That just feels offensive to me...not welcoming...cheap. Noise from tram, trains and construction around the hotel was really disturbing. Could not change room except after the 3rd night... no parking for cars...if you wanna use public parking it is over 55 euros per day. Only some staffs are unfriendly, but overall is OK. Overpriced, rooms not perfectly clean, bins not emptied when room turned down at night, horrid view from room for price, previously stayed at Kempton De Witt for same price and found this to be better hotel. Friendly staff, easy check in, room available early, plenty of towels in the room and very close to station.